Citizen scientists and bird lovers across the world have helped researchers at the University of Sheffield and the University of South Florida uncover new secrets about the evolution of bird's beaks over time in a ground-breaking study published today in the journal Nature. 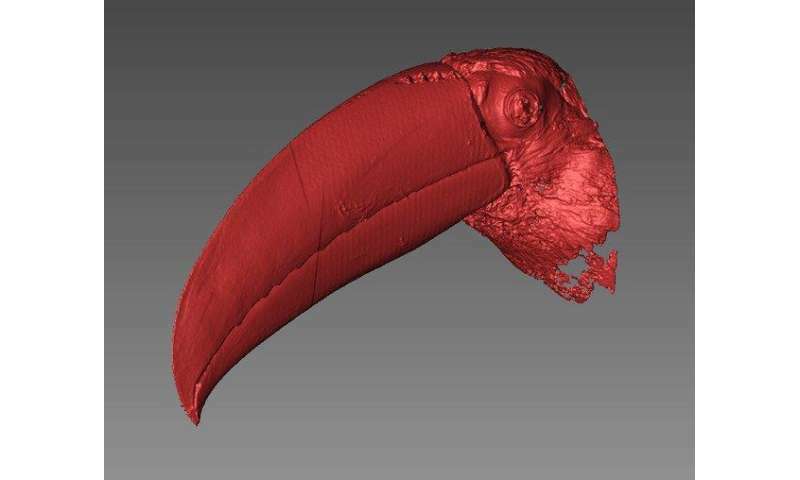 The researchers have asked the public to help measure beak shapes from more than 2,000 bird species which have been 3-D scanned from specimens at the Natural History Museum and the Manchester Museum. Using the crowdsourced data, the team were able show that the diversity of bird beaks expanded early in their evolutionary history. 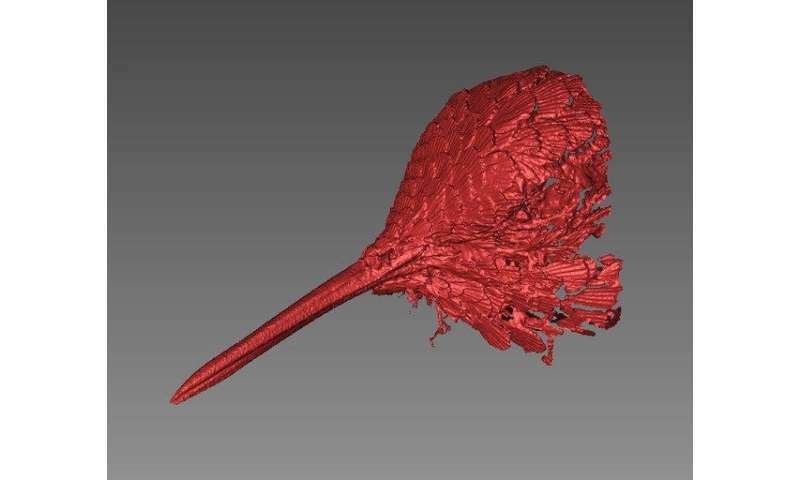 The researchers found that the most unusual beak shapes often involved periods of exceptionally fast evolutionary change. However, once extremes are reached, the changes to bird beaks over time became much smaller as birds filled ever-narrower evolutionary niches. There are some examples - such as birds who have evolved in comparative isolation on remote islands such as the Galapagos and the Hawaiian archipelago - who have continued to evolve rapidly. The study was authored by University of Sheffield researchers Gavin Thomas and Chris Cooney along with Jen Bright, who recently arrived from Sheffield to join USF's faculty where she is an assistant professor in the School of Geosciences and a member of the Center for Virtualization and Applied Spatial Technologies. The research was funded by the European Research Council and by a Royal Society University Research Fellowship. "The shape of a bird's beak is an important indicator of the food it eats and the way it forages - its ecological niche," said Thomas, the project lead from Sheffield's Department of Animal and Plant Sciences. "This project has given us key insight into how evolutionary processes play out over millions of years - with major bursts of evolution as new groups emerge, and more fine scale changes thereafter. "With the efforts of our volunteers from across the world, the study has given us a unique new data set for the study of bird ecology and evolution." Taking measurements from animals in the wild would have been impossible but 3-D models taken from specimens in natural history museums provided new scope for this detailed study, the researchers said. Members of the public logged onto the website, www.markmybird.org (created by the Digital Humanities Institute at Sheffield) which allowed anyone to access 3-D models of the beaks and help create this new resource of bill shapes. "The great diversity of bird beak shapes has long fascinated biologists and naturalists alike, including Darwin himself. It is wonderful to be able to use the information stored in natural history collections to shed light on how variation in this important ecological trait evolved," Cooney said. "It's striking how much the speed of evolution changes between different birds," Bright said. "It's a really dynamic process, and it means there are still lots of questions left to answer about how birds managed to come up with the range of beak shapes that they have." The project was split in to two main tasks: geometric morphometrics and evolutionary rates analysis, Bright said. 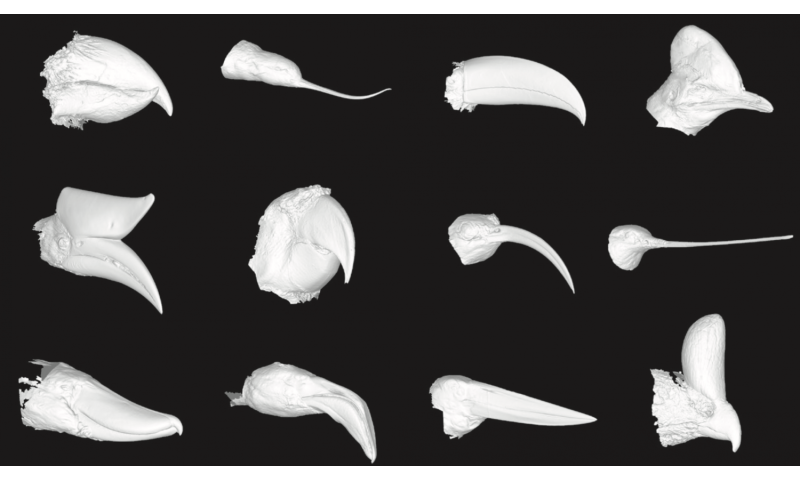 Geometric morphometrics is a way of measuring shape in things that have complicated or highly variable geometries – in this case, bird beaks. 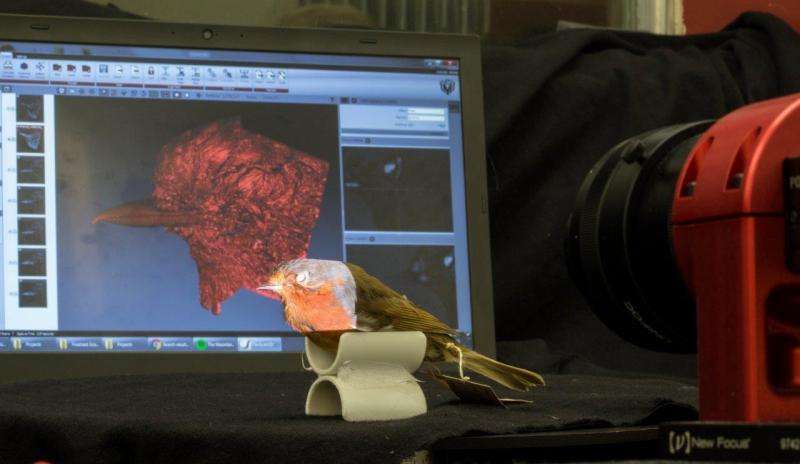 It works by dropping virtual "landmarks" on to the same place (for example, the beak tip) on 3-D scans of every beak, and then comparing the positions of these landmarks across all of the birds to see how their positions change. The researchers ultimately plan to complete scans for all of the more than 10,000 species of birds – but they needed help to complete such a monumental task. Scanning the beaks in the museum takes time – at most the research team could scan forty or fifty beaks a day, and just placing the landmarks on the beaks could take roughly three minutes per bird, Bright said. While nothing could be done to speed up the scanning, the researchers could make the landmarking process go faster if they had help. They decided to enlist volunteers and markmybird.org was born. To make the project more fun for participants, the scientists awarded badges to those who were prolific in helping. "This project could never have happened without two things: the help of all those volunteers who donated their time, and the collections of specimens held in the museums we worked in," Bright said. "The things you see on display when you visit a museum represent a tiny fraction of what they store; they're a treasure chest of scientific information." By taking 3-D scans and putting them online, the researchers have been able to open up some of the museum repositories to the public. Visitors to the website can interact with the 3-D model online, turning it over and zooming in for a closer look without risking damage to the specimens, some of which are priceless and unique. "Once you have that 3-D data, there are all sorts of scientific questions you can keep asking it," Bright said. "This sort of archiving and access to natural history collections is a key part of the work we're now doing in CVAST at USF, where we are working to build up a virtual library of specimens for people to see and use for projects like this one."